Though her life was difficult, Hannah Whitall Smith'smessage was joyful. In the "Christian's Secret of a Happy Life," she writes, "e;Jesus came to save you fully now, in this life, from the power and dominion of sin, and to deliver you altogether. 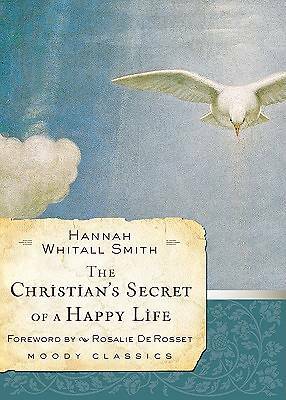 "e; Passionate and practical, Whitall Smith's classic of the Holiness movement focuses not on human effort but on simple, stubborn faith in the Savior and Sanctifier of the soul. "e;Our part is the trusting,"e; she writes. "e;It is His to accomplish the results. "e;"